The word arctic is derived from ἀρκτικός or arktikos, a Greek word. Arktikos means "near the Bear, northern," and it comes from ἄρκτος or arktos, "bear." There are two unique aspects to the Arctic. The first: While there are 8 nations sharing the Arctic (Canada, Denmark, Finland, Iceland, Norway, Russia, Sweden, and the United States of America), not one of them can claim the North Pole or the Arctic Ocean surrounding the North Pole. The second: The Arctic is the world's cooling system; that is, the Arctic prevents the Earth from becoming too hot. The Arctic has an important role in sustaining life on Earth. To understand this, take a look at the text below -- it provides you with information on the Arctic's location and climate, plant life, animal life, and indigenous people as well as how the Arctic is being affected by climate change. The Arctic is a polar region. A Polar region is an area that surrounds either the North or South Pole and that consist largely of polar ice caps (large sheets of ice). The Arctic is located at the North Pole; Antarctica is situated at the South Pole. The Arctic consists of cold winters and chilly summers. Its winters average around -40 °C or -40 °F. Its summers average between 3 to 12° C or 37 to 54° F.
The record low for the Arctic is -68 °C or -90 °F. The Arctic has low precipitation, with snow being the dominant form. Winds frequently lift snow, giving the appearance that it snows constantly. In reality, the Arctic receives around 50 centimeters or 20 inches of snow each year. The Arctic is a tundra biome, which means that trees have difficulty growing in this region due to cold temperatures and insufficient growing seasons. Tundra biomes have vegetation that grows tight against the Earth's surface, but the farther north in the Arctic you go, the fewer plants you will find. Dwarf shrubs may also be called subshrubs, and they are small, woody plants that have hibernating buds, hanging 25 centimeters or 9.8 inches above the ground. Forbs are herbaceous (plants without woody stems) flowering plants (meaning they generate seeds). 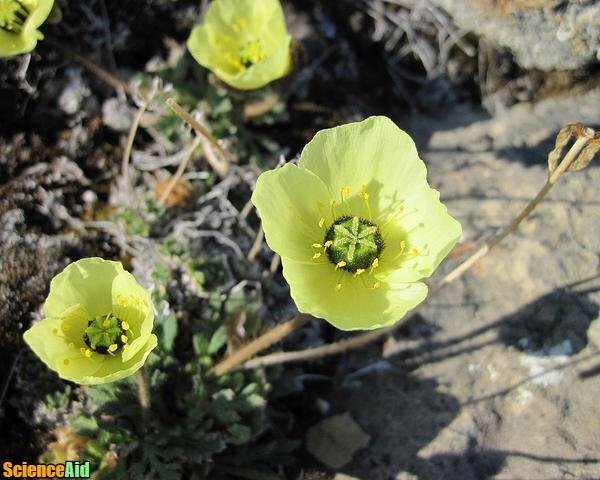 The Arctic poppy is an example of a forb that grows in the Arctic. Graminoids are monocotyledonous (plants that have only one embryonic leaf) flowering plants and are considered to be a type of grass. Herbs are used largely for a food source and for their fragrance. Thyme is a herb found in the Arctic. Mosses are plants that do not produce flowers and that grow in damp or shady areas. Sedges are flowering plants that look like grass. Their stems are triangular in shape. Even though the tundra is a biome in which plant life struggles to grow, there is an abundant amount of animals -- herbivores, omnivores, carnivores, and marine mammals. The people who live in the Arctic are referred to as either circumpolar peoples or Arctic peoples. Eskimo is a name used to make reference to the Inuit, Inupiat, and the Yupik peoples. The name Eskimo means "snowshoe netters." Here is a list of some of the contemporary indigenous peoples living in the Arctic and the regions they live in (the regions appear in order of the highest population to the lowest). Buryat: Russia, Mongolia, China, the United States of America, Uzbekistan, Kazakhstan, Ukraine. Inuit: Greenland, Canada, the United States of America, Denmark. Inupait: The United States of America. Sami: Norway, the United States of America, Sweden, Finland, Russia, Ukraine. Yupik: The United States of America, Russia. Paleo-Eskimo is the term used to refer to the people who lived in the Arctic beginning in 2500 BCE and ending in 1500 CE. The following is a list of the cultures that fall under Paleo-Eskimo. Included are the peoples' areas of residence and the time their cultures were practiced. Pre-Dorset, Eastern Canada and Greenland, 2500 to 500 BCE. Saqqaq, Greenland, 2500 to 800 BCE. Independence I, northeastern Canada and Greenland, 2400 to 1800 BCE. Independence II, northeastern Canada and Greenland, 800 to 1 BCE. Groswater, Labrador and Nunavik, 1000 BCE to 250 CE. Dorset, North America, 500 BCE to 1500 CE. 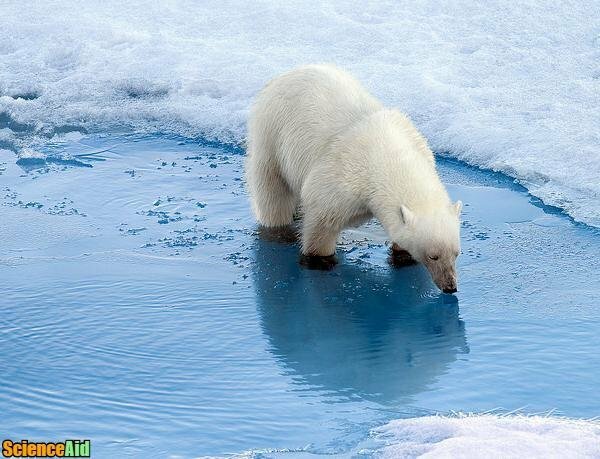 The Arctic has very little pollution; however, the pollution around the world affects the Arctic. For example, there is the Arctic haze -- a reddish-brown haze that occurs during the spring. 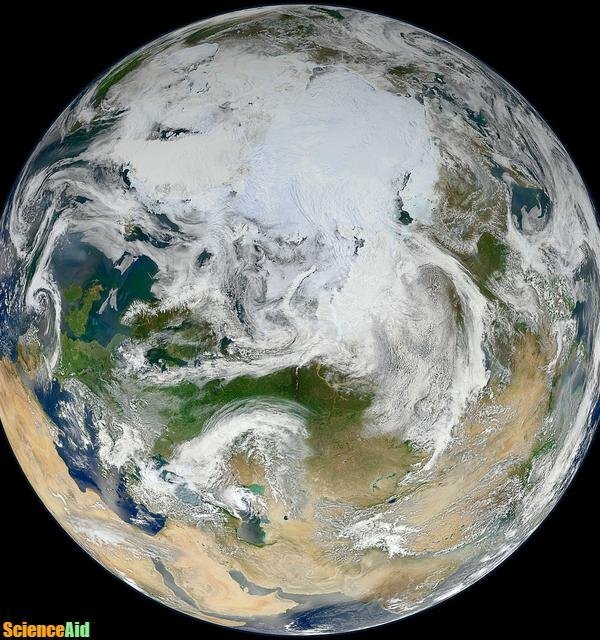 The sea and air currents of the world turn the Arctic into a dump zone for air pollutants, which means that the sea and air currents around the Earth push pollutants to the Arctic (creating the Arctic haze). Another way pollution from other areas in the world affects the Arctic is through climate change. Climate change is a result of polluting the earth's atmosphere, which warms the globe. As the globe warms, so too does the Arctic. As the Arctic's temperature increases, its ice melts, and as the Arctic's ice melts, the world's cooling system gets smaller, which then adds to how quickly the Earth warms. If the Earth warms faster, the ice melts faster. Losing the Arctic ice means sea levels will (continue to) rise and slowly engulf coastal cities around the world. If the Greenland Ice Sheet melts, for example, sea levels will rise by 7 meters. If you live in a coastal city, you can look at where you sit in regard to the sea level and see if a 7 meter increase would cause the loss of your area. If permafrost continues to melt, ancient carbon will be released into the air (which is currently being stored in the permafrost). The release of carbon gasses, such as methane and carbon dioxide, would sharply increase global warming. Vegetation. Invading trees will change the tundra into a forest; certain land areas will turn into wetlands; mosses and lichens will become scarce plants, and mosses and lichens are vital food sources for herbivores. Insects. Insects will move north and invade new areas. Fish. Climate change affects and harms the growth algae and krill. Without algae and krill, fish numbers will decline, removing a food source for predators. Mammals. Many mammals will become displaced as a result of changing land and food shortages. As climate change wreaks havoc on the Arctic's ecosystem, hunting becomes more difficult for the Artic's indigenous people due to animal ranges altering. MLA (Modern Language Association) "Arctic Environment." 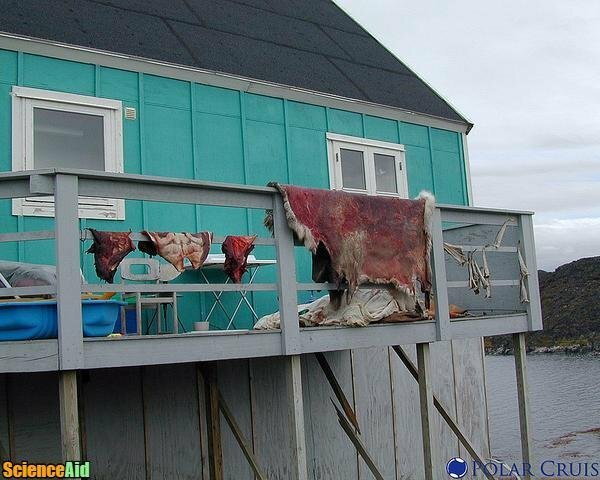 ScienceAid, scienceaid.net/Arctic_Environment Accessed 20 Apr 2019. Chicago / Turabian ScienceAid.net. "Arctic Environment." 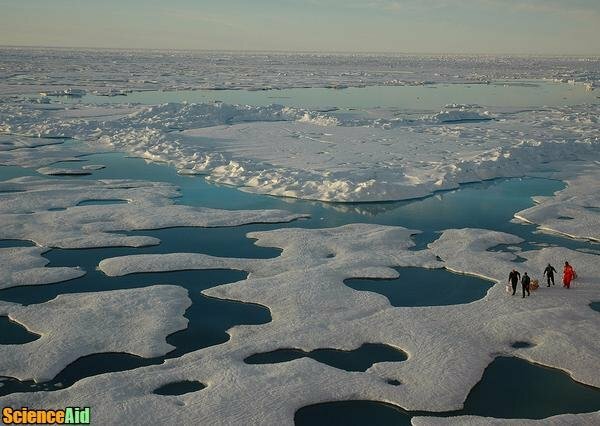 Accessed Apr 20, 2019. https://scienceaid.net/Arctic_Environment.